The South Dakota State Historical Society invites you to join us for our Annual History Conference. Sitting down to a family dinner, slicing into fruit kuchen or grilling fresh-caught walleye by the river everyone eats! 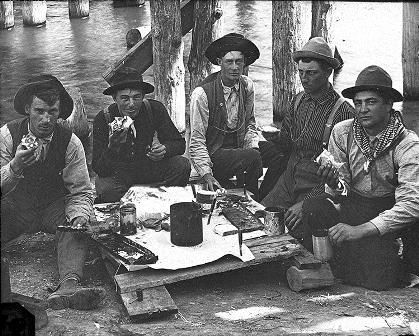 Come and learn about South Dakota's food traditions and practices at "Everyone Eats: South Dakota's Food Heritage." This year's conference will be held April 29-30, 2016 at the Ramkota Hotel and Conference Center in Pierre, South Dakota. Conference registration is now open. Early registrants and members of the South Dakota State Historical Society (SDSHS) can save on conference registration! Teachers can receive up to 11 contact hours for attending. Registration is available online and through the mail. Visit the conference website for more information.